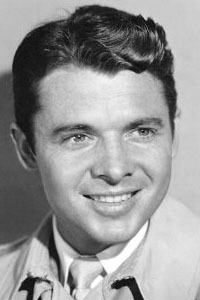 Audie Murphy was the most decorated U.S. combat soldier of World War II. After the war he moved to Hollywood; his first starring role came in a 1949 released film called Bad Boy. He went on to star in 44 feature films over the next 25 years. His 1949 autobiography To Hell And Back was a best seller. Murphy starred as himself in the 1955 film version which held the record as Universalâ€™s highest grossing picture until 1975 when it was finally surpassed by Jaws. A great American and a great Freemason!